Pia Wurtzbach isn't the only one. (SPOT.ph) Technology encourages us nowadays that everyone can be content producers. Gone are the days when you have to learn HTML and CSS to build a website because you can easily log on to Blogspot or Wordpress to host your online content. You don't even have to build a forum or chat page from scratch, Facebook and Twitter can do that for you. All you need is a bit of creativity to spin a story for the world to read. The downside to all these? Rumor mongering happens in an instant. Take for example these celebrities and politicians who were put under the spotlight because of the fake "news" sites that have now taken over the Internet. Miss Universe 2015 Pia Wurtzbach supposedly "arrived at Kuala Lumpur Airport from Manila on Saturday afternoon" and "has been locked up in cells (sic) awaiting interrogations," according to a post on News24-TV. When Esther Swan of the Miss Universe Organization heard of the fake "news," she clarified the issue with a post on her Facebook page that read, "Miss Universe, Pia Wurtzbach, has never been to Malaysia and has been working in the States for the past week," she wrote. Her post, however, has been removed. This "news" report about singer-actress Agot Isidro includes a quote which supposedly comes from the "head of the crime unit," who isn't even named in the article. “This is a massive seizure and we do not understand why one can keep this much money in an apartment, we think the money is from an illegal sources (sic) that may be the reason for not sending the money to the bank." Another fake headline reports that she's “dating two drug lords.” Isidro made headlines in early October when she called President Rodrigo Duterte a "psychopath" on her Facebook page. According to this report, Sy supposedly "paid $26M for the Bombardier Global Express XRS which operates on Rolls-Royce engines." On October 22, SM Supermalls released an official statement on Facebook to address the issue: "Mr. Henry Sy has not bought any jet plane. He also was not born on Christmas day as the article says." 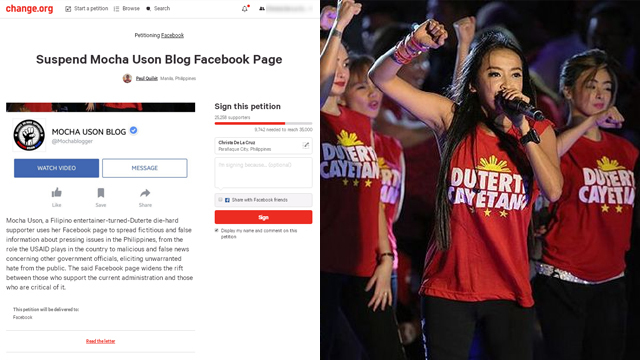 A fake "news" report on a site called Breaking News (also called Duterte News Global on Facebook) connects Sen. Risa Hontiveros to "Republic Act 4393," a proposal to help ease traffic in the Metro. "Ang batas ay ang lagyan ng color coding ang mga pasahero sa MRT at LRT sa pamamagitan ng pag kategorya ng apelyido ng bawat pasahero," the "news" site explained. The senator posted a statement on her verified Facebook page on October 6, saying "Wala po akong bill na i-color coding ang mga pasahero ng LRT/MRT. Pero highly recommended ko mag-color coding sa labada at paggamit ng auto!" 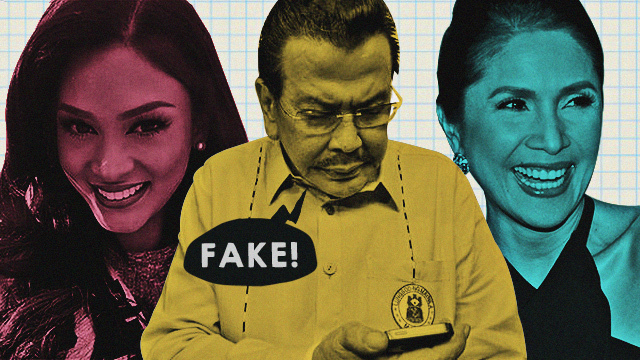 Manila Mayor Joseph Estrada reportedly gave a low score to Vice President Leni Robredo when asked about her first 100 days, based on a report on the site Okd2.com. 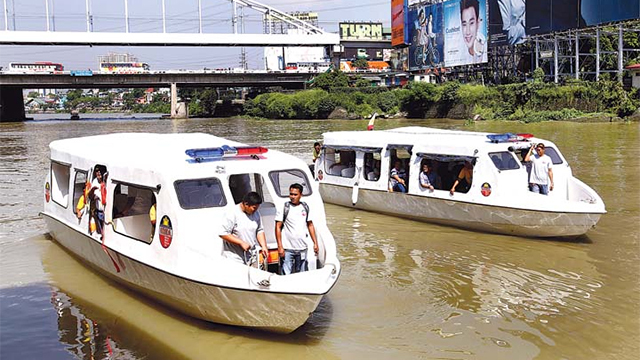 The former president supposedly said, “E wala pa naman syang nagagawa eh. Yong paikot-ikot nya sa Pilipinas dahil sa kanyang mga adbokasya wala pa akong nakikitang resulta, at wala akong nakikitang magiging magandang resulta.” The article ends with a disclaimer that encourages readers to "do additional research if you find some information doubtful." On October 10, the Office of the Vice President launched its flagship project Angat Buhay: Partnerships Against Poverty Summit, which is the culmination of Robredo's "Laylayan Visits." Her visit to remote and poverty-stricken areas in the Philippines focused on understanding what Filipinos need and partnering with NGOs and groups that can address these problems. Local personalities are not the only targets of these fake “news” sites. They have also made up lies about Canadian Prime Minister Justin Trudeau, British Prime Minister Theresa May, Russian President Vladimir Putin, Jackie Chan, and Presidential candidate Hillary Clinton.